This is a Mass Effect Andromeda planet locations guide on the planet, Habitat 7. Here, you will learn details about the planet’s climate, wildlife, and indigenous species. We will be updating this as more information comes out. 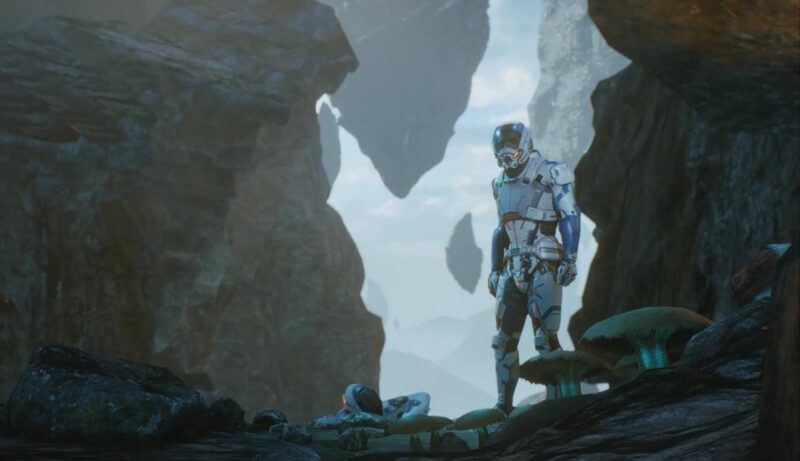 For more Mass Effect Andromeda Articles, head over to our top page! 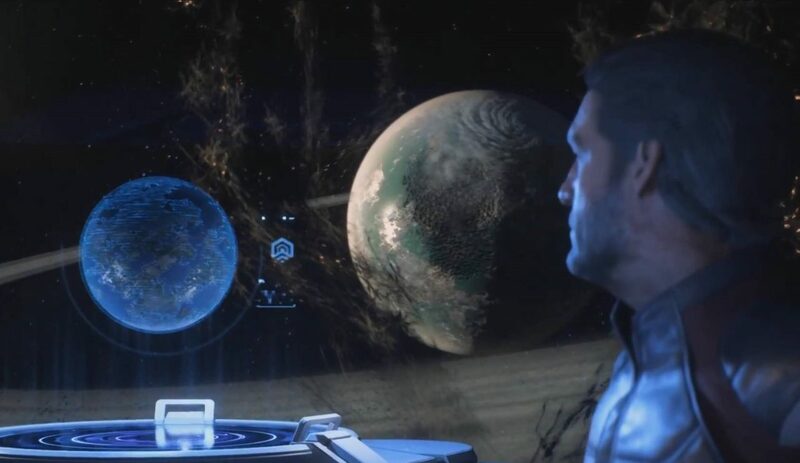 Pictured: Alec Ryder gazing into Habitat 7. This planet is humanity’s “Golden World.” Unfortunately for the humans in Ark Hyperion, the golden world has fallen on some hard times. The “scourge,” a cloud of dark energy has enveloped its orbit, and its air and seas are polluted, possibly by the Kett. Rocks and even whole mountains are found floating, due to the massive alien vault on its surface, which is also creating the dark energy cloud out in space.